A giant ICE KING is accidentally released from his glacial prison and attacks the Castle of the Snowmen, defeating the SNOW KNIGHT. The SNOW KNIGHT sends SNOWMEOW to ask the THUNDERCATS for help. After a series of confrontations and misunderstandings, it transpires that the ICE KING is searching for an egg in which his one-time Princess is trapped. When he finds it, he melts away, entering the egg and reuniting himself with his Princess. The bonds of friendship, sworn by the Code of Thundera, lead LION-0 to aid the Snow Knight against a legendary and ancient figure, the Ice King. 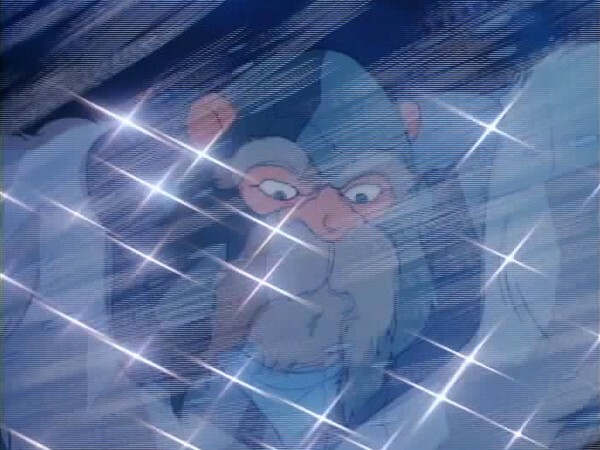 The Ice King is driven by a primal urge, and the intensity of his drive compels Lion-O and the Snow Knight to recognize it as justified and positive. They decide to help him rather than block his intent and, creating a truce, they help him attain the egg he seeks. Gratified by the blissful vision he sees in the egg and by the memory of his past love, the Ice King expires, fulfilled in his quest. In Sometimes our ability to empathize with others results in the acknowledgment that their needs and goals at a is particular time are very important and necessary to them. In some instances, it is a worthwhile choice to set aside our own preoccupations and help them attain what they need. True friendship means at times we sacrifice our own petty needs to help others, especially when they are dealing with more valued goals. 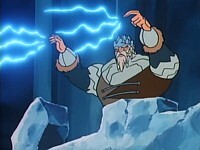 On the face of it, “Secret of the Ice King” should be just a run-of-the-mill ThunderCats episode, in the sense that, on paper, there’s nothing original about it – whilst the ThunderCats’ adventures had, admittedly, only taken them into the snowy climes of Hook Mountain on a couple of occasions, this should be one of the most original aspects of the episode. 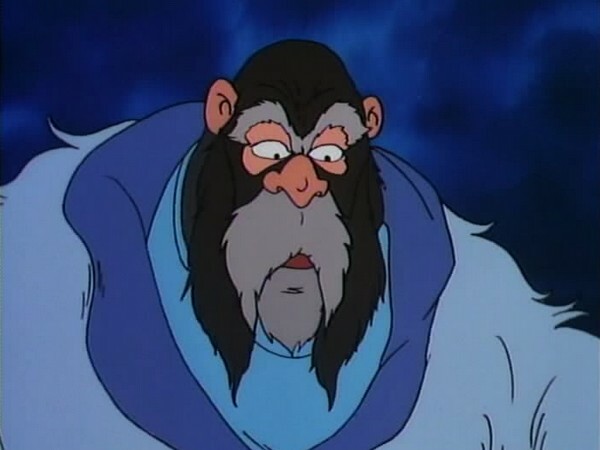 Where in the series this episode appears, the ThunderCats had tackled their fair share of mute super-powered beings both mechanical and magical, and on paper the Ice King should have been a somewhat boring regurgitation of these characters. “Should be” being the operative phrase – for, whilst this episode might not initially seem that original, it scores both in terms of the unique way these concepts are executed, and just for being a very solid, entertaining episode. 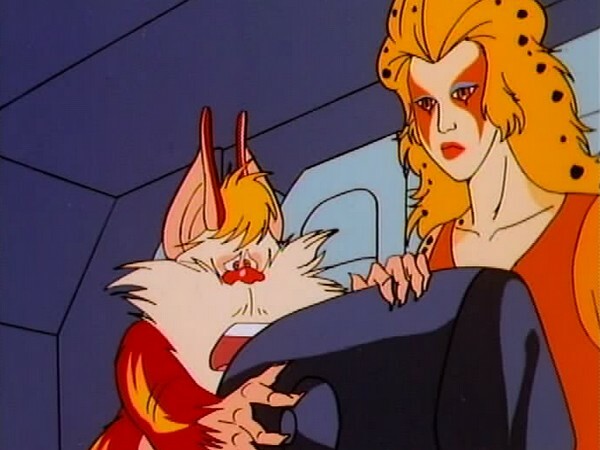 In a lot of animated series from this period, weaker scripts would have certain things just conveniently happening in ways that could feel rushed or forced, and at times even a high quality offering such as ThunderCats would be susceptible to this weakness. 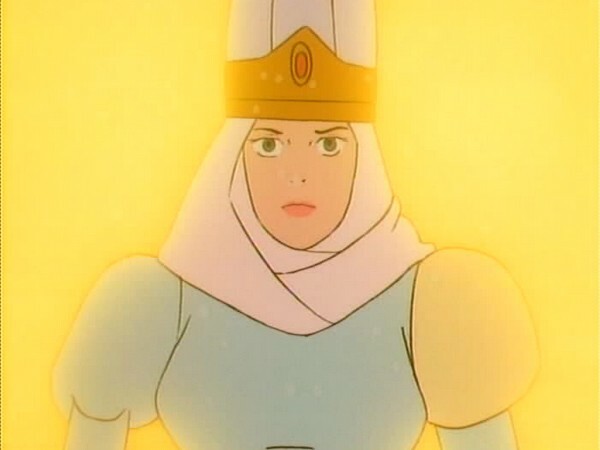 However, “Secret of the Ice King” manages to successfully avoid this pitfall, with all of the episode’s major plot points following in a very logical and satisfying manner, from the major turning points in the storyline to minor details such as how Cheetara comes to be outside of the Thundertank when the Ice King freezes it. This can, one feels, be attributed largely to the episode’s author Bob Haney, a veteran comics writer who would have been used to crafting tales to a level of detail that would please a wide-ranging age group, and indeed it has to be said that somehow this episode has a lot of the “vibe” and sensibility of a comic book adventure, with all the plot point twists and turns necessary to keep an audience intrigued throughout. 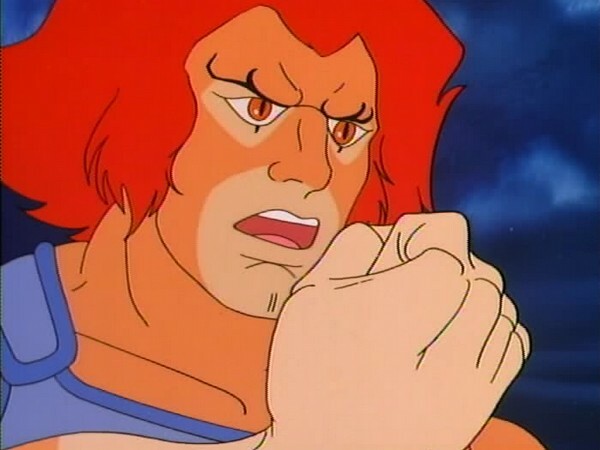 Indeed, whilst some ThunderCats episodes suffer from having somewhat one-dimensional storylines (consisting primarily of a premise onto which would be affixed an ongoing sequence of action scenes), this episode has no such handicap, with the Ice King’s storyline and origin being gradually unfolded piece by piece in a way that tantalizes and teases the audience – indeed, the final piece of the puzzle concerning the Ice King’s origin is not revealed until the episode’s final act, where the Snowman, free from the pressure of battle, is able to successfully recall the remainder of the legend of the Ice King. Once again, the strength of this episode is all in its execution – had another writer attempted to expand upon the same premise, the chances are that the end result would have been, if not inferior, then certainly very different. As to the character of the Ice King himself, from the outset he feels like a highly menacing threat with a true air of mystery, thanks not just to the script but also the excellent direction and animation of the character – to make a mute character interesting can be quite challenging but again a lot of what makes the character of the Ice King work so well is his on-screen personality. 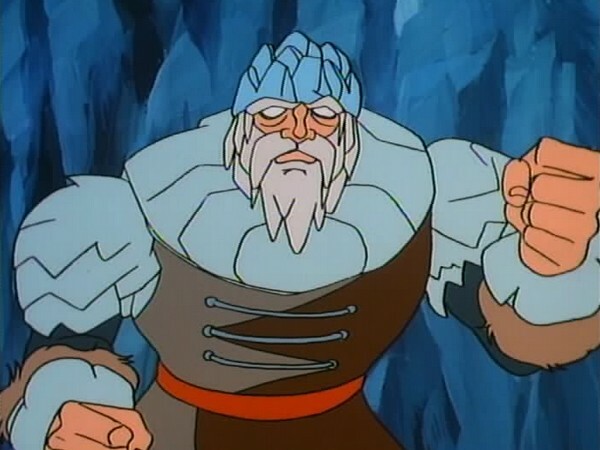 If there is one flaw with this episode, it would be that the Ice King’s persona changes slightly during the course of the episode – for, at one point when battling Lion-O, the Ice King is shown to laugh in triumph when he believes he has beaten the ThunderCat leader. Given that the concluding revelation surrounding the Ice King would be that he is in fact not a villain but simply someone on a quest to find his true love’s prison, this minor thing would appear to be somewhat out of character, and one feels it would have made the resolution of the Ice King’s story feel so much more authentic if this simple few seconds of animation had been omitted from the final episode. Nonetheless, this is a relatively minor nitpick which can be explained away – clearly the Ice King was a warrior of olden times when in his human form, and perhaps his reactions were based on battle instincts, or the perception of Lion-O and the others as evil attackers rather than mere enemies – however, it is a shame that there is an element that needs explaining away in what is otherwise a very tight and solid script. 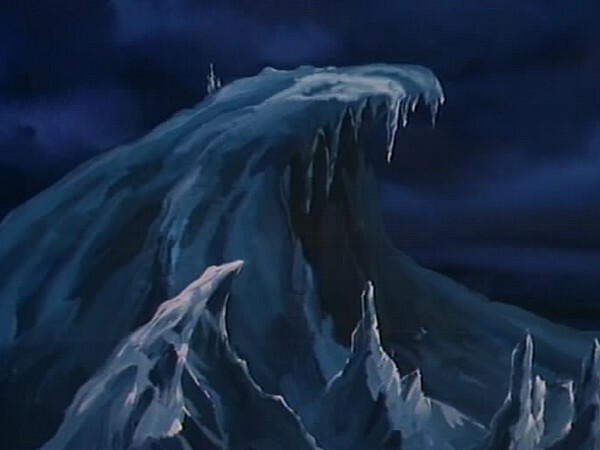 That this episode should be built around the snowy areas surrounding Hook Mountain obviously lends itself perfectly to the Ice King’s magical ice-and-snow-based powers, and also serves to add a different flavour to the episode – it’s perhaps a little unfortunate that, in Production Order, this episode appears immediately after “Lion-O’s Anointment Day Four – The Trial of Mind Power”, as that episode too takes place in a snowy environment and features an appearance by Snowmeow, the Snowman of Hook Mountain’s giant cat, and as such rather weakens the impact that this one would otherwise make if it were the first time in a while that a snow-based episode had appeared within the series. The further into season 1 you go, it becomes clear that it was harder and harder for the writers to come up with new and original ideas, hence why so many new characters and concepts were added to the show’s second season. 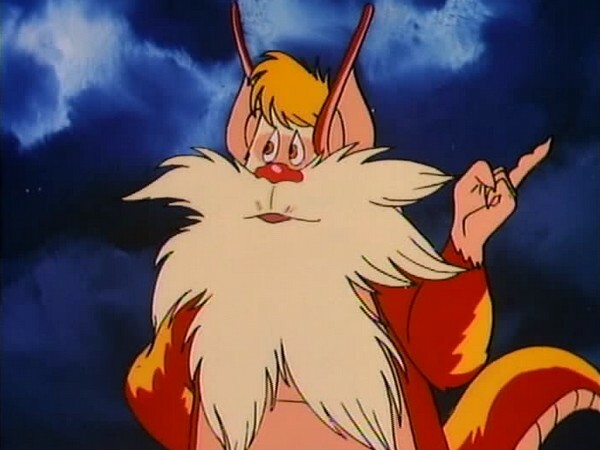 However, this does not mean that the latter half of season 2 was bad, and in fact episodes like this prove what a fantastic complete body of work ThunderCats was and is – “Secret of the Ice King” may not be a classic episode in the truest sense of the word, but it’s a really good, solid episode that helps to form the foundation of an outstanding animated series. 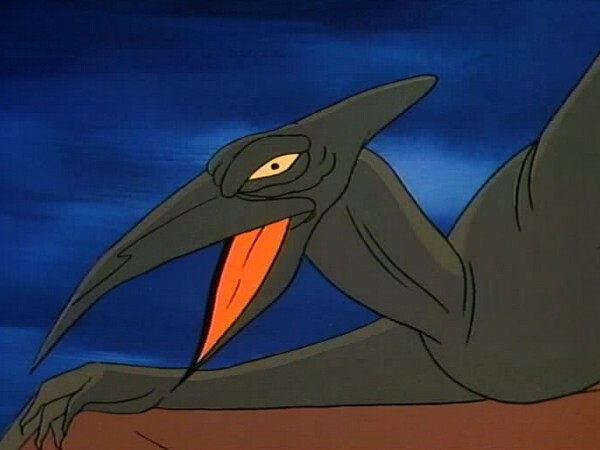 At the start of this episode we discover that on Third Earth there are still dinosaurs, specifically Pterodactyls, living somewhere on the planet! 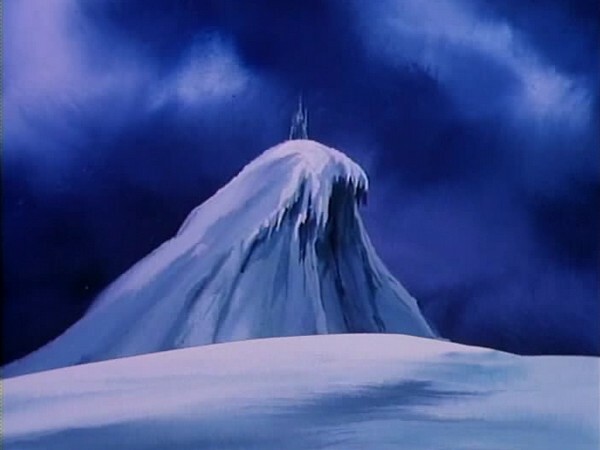 This episode marks the second appearance of the Snowman of Hook Mountain, following his debut in “Lord of the Snows”. However, in this episode he is constantly referred to throughout as “Snow Knight”. This is the only time in the series that the Snowman is called by this name. 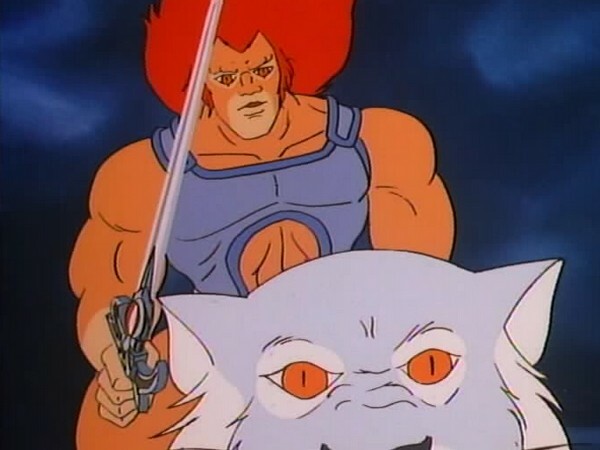 An amusing animation error can be seen when Lion-O rushes to the Sword Chamber to pick up the Sword of Omens – the way the Sword is drawn makes it look as though it is already partway extended to its full size! This episode features brief cameos from, and references to, a couple of races seen in earlier episodes, namely the Trollogs and the Mole Men. 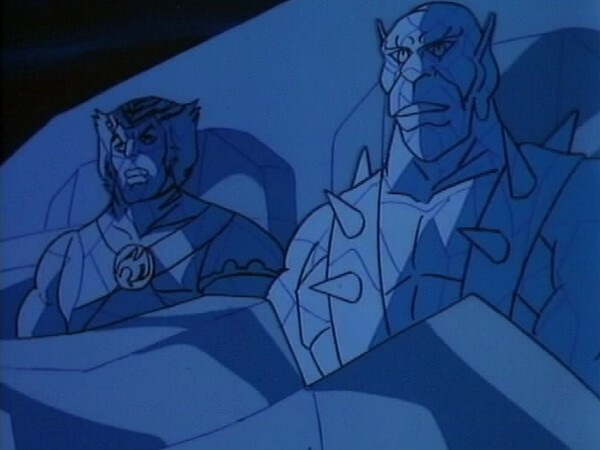 Having first appeared in the episode “Berbils”, the Trollogs are seen without the presence of the Giantors (even though they are referenced), perhaps indicating that the ThunderCats’ defeat of those creatures persuaded them to leave the Trollogs alone! 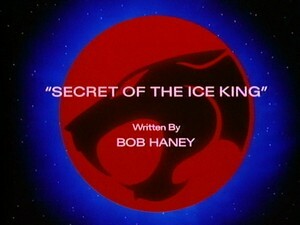 This episode is written by veteran writer Bob Haney, who also penned the Snowman’s debut, “Lord of the Snows”.